The Footsball (also known as Table Soccer) is being popular since late 90’s and it is commonly categorized as both a game and a sport. To many, it’s just a simply game based on the sport of soccer/football/ to an ever growing number of footsball enthusiasts it has evolved into a sport in its own right. 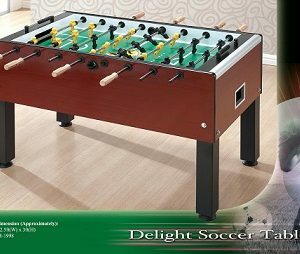 The popular footsball (or Table Soccer) game has now been improved for greater user-friendliness and consumer value with unique & practical features. Smooth Playing, Fast Action, Safety, Flexibility, & Durability are what make CM1 soccer table the ideal choice for foosball fans and families. Foosball is often played for fun in pubs, bars, workplaces, schools, and clubs with few rules. 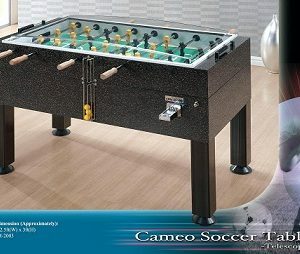 Table football is also played in official competitions organized by a number of organizations, with highly evolved rules and regulations.